Saturday was an emotional day for Marissa Barrera. Her brother Michael, who was killed by a police officer in 2017, was on her mind all day. Barrera, 30, prepared a large table in honor of her brother with photos of him and certificates of his accomplishments. Barrera was joined by a crowd of others at the fifth annual March for Justice event at Heritage Park Saturday morning, advocating for stricter oversight of police officers, racial equity and unity. The event was put on by STOP Coalition- Families Impacted by Police Violence, a statewide coalition of directly impacted families by police brutality, working to end police violence. Crosses in honor of those who have lost their lives to police violence were placed in the ground at the fifth annual March for Justice event Saturday. Participants held signs dedicated to their friends and family members who have been affected by police violence. 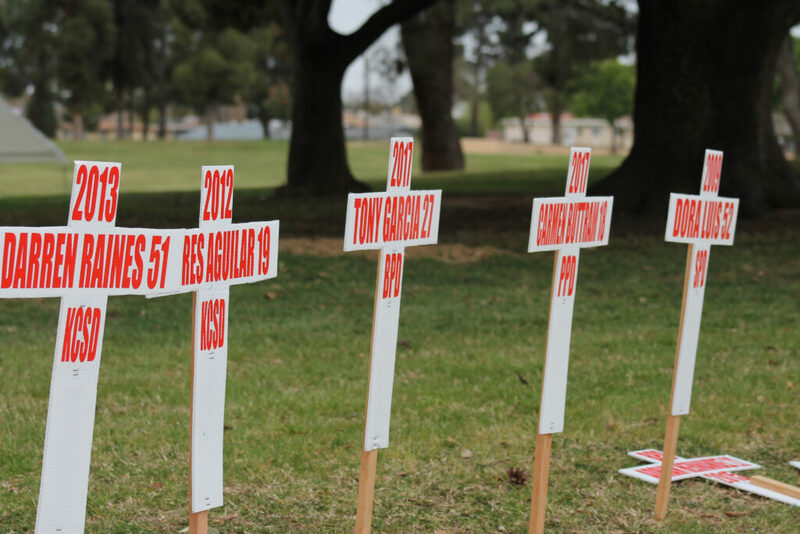 Marchers walked through East Bakersfield to locations where people were killed by officers. Traci Alderman, 44, attended the event because her nephew Jason Alderman was killed by an officer. Many of the protestors spoke about fear when it comes to engaging with officers. Regina Domingo, whose nephew was killed by a police officer, came from San Jose to show her support. Domingo was saddened to see so many families — children, mothers, grandmothers — attending the event. 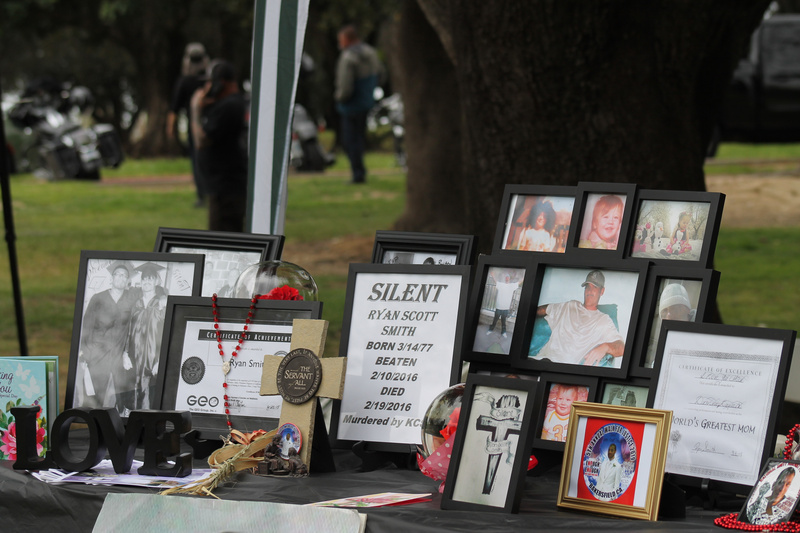 Tables were set up at the fifth annual March for Justice event Saturday in honor of those who lost their lives to police violence. She also emphasized the importance of acknowledging racial disparities at the event. Many of the families attending the March for Justice are advocating to pass Assembly Bill 392, also known as the California Act to Save Lives. If passed, the bill, released in February, would redefine the circumstances in which police officers can use lethal force. Paige Atkison is a youth reporter for South Kern Sol. She is the editor in chief at The Renegade Rip at Bakersfield College and has been selected to partake in South Kern Sol's CA 2020: Democracy Media Fellowship.